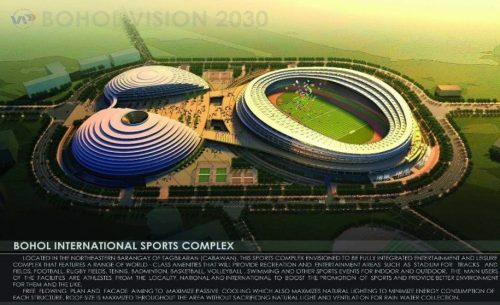 The Provincial Development Council (PDC) Executive Committee (ExeCom) recently passed on Wednesday, 6 February 2019, a resolution endorsing the Proposed Integrated Sport Complex and Convention Center Project for Study and Project Development through Public-Private Partnership (PPP) or Joint Venture (JV) Development. Provincial Administrator Alfonso Damalerio II rationalized that the Province of Bohol has always been a favorite destination for sports events such as the PRISAA, Regional Athletic Meet, and other sports competition. However, due to the absence of sports facilities of international standard, the Province missed the opportunity to host national sports events like the Palarong Pambansa and Batang Pinoy National Qualifying Games. A convention center is also necessary for the Province to continue to host huge events like meetings, incentives, conferences and exhibitions (MICE) of regional, national and international significance. An Entertainment Center is also needed for multiple use such as for concerts, entertainment and recreational events. 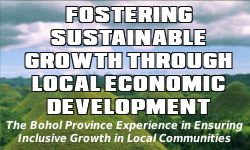 The Provincial Budget Officer, Mr. Peter Ross Retutal, also presented the need to add a supplemental amount to the Investment Program of the province to finance various projects in 2019. Hence, the PDC ExeCom also favorably endorsed to the Sangguniang Panlalawigan of Bohol the proposal to add the supplemental amount of Two Hundred Eighty-one Million Eight Hundred Four Thousand Pesos (P281,804,000.00) to the Investment Program of the Provincial Government of Bohol for CY 2019. The PDC further passed another resolution favorably endorsing to the Sangguniang Panlalawigan of Bohol the Re-alignment of Identified Projects under the 20% Development Fund for the Year 2014, 2016 and 2017 with total appropriation amounting to P39,996,769.83 and utilizing the said amount for the Procurement of Hospital Equipment and Construction of Hospital Building as proposed in the Supplemental Investment Plan (SIP) for 2019. Governor Edgar Chatto raised his concern on the operation and maintenance of the new Bohol Airport where the Civil Aviation Authority of the Philippines is temporarily managing but has no authority to hire the displaced workers of the old Tagbilaran Airport who are now on floating status. Without much ado, the PDC ExeCom passed a resolution requesting the Department of Transportation to expedite the awarding of the operation and maintenance for the Bohol Panglao International Airport.